Mark Parker is a geophysicist and mineral exploration entrepreneur with 40 years’ experience in prospecting, consulting and corporate management in Africa, Europe, Southeast Asia, Latin America and the Middle East. Mark was appointed non-executive Chairman of International Geoscience Services Ltd (IGS) in January 2017. He is also currently forming a western European zinc venture. Mark is founder and Managing Director of Equator Gold Limited, which explores for gold in South Sudan. 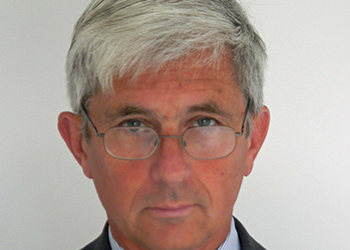 He is also Chairman of Andiamo Exploration Ltd, a British company with gold and base metal VMS projects in Eritrea, and is a non-executive director of AIM-traded investor Blenheim Natural Resources plc. From 1996 to 2011, Mark was Managing Director of African Eagle Resources plc. Previously he worked for the British Geological Survey, Hunting Geology and Geophysics, Ark Geophysics and as a consultant. He holds a BA in Environmental Science from Lancaster University.